When Laken Blount got a call from a man who claimed she’d earned enough college credits to earn an associate degree, she was skeptical. But when the caller started sharing specifics about her prior enrollment dates and courses, the 32-year-old mother of two from Southaven, Mississippi, grew curious. It turned out he was from Complete 2 Compete, a statewide initiative that is part of a growing effort to get millions of American adults to finish their college degrees. The focus is on “near completers,” those who need only a few more credits, or already have enough for a degree, like Blount, who had taken some nursing pre-requisites at her local community college a few years back. The challenge policymakers now confront: how to find them and get them back. Nationwide, there are more than 35 million adults over 25 with some college credits, but no degree, according to the U.S. Census. The push to reach these dropouts by Mississippi and other states, including Indiana and Tennessee, reflects a growing recognition that there just aren’t enough students coming out of U.S. high schools to produce the number of college graduates the nation needs. But former students can be hard to track down, if not untraceable. Others face financial and bureaucratic barriers to re-enrolling. Still others are stymied by academic calendars that continue to favor the traditional 18- to 22-year-old, even though such students are no longer the norm. So states are using every tool they can to find and woo them, from direct-mail marketing to tuition discounts. The reality of how these approaches have played out shows just how difficult this effort is. Nearly every state has set a goal for boosting the proportion of its population with post-secondary education; most are aiming for 55 to 65 percent by 2020 or 2025. Driving this are projections that, by 2020, two-thirds of job vacancies will require education beyond high school, according to the Georgetown University Center on Education and the Workforce. One of the advertisements produced by the “You Can. Go Back” campaign in Indiana, among the several states trying to get college dropouts to finish their college educations. In Mississippi, where the goal is 60 percent attainment by 2025, the share of adults with a credential is even lower: 37.5 percent. Getting more adults to graduate is in everyone’s interest. A more credentialed workforce means more tuition money for colleges, more tax revenue for states and higher incomes for graduates. For Mississippi, which is trying to attract new employers and reverse decades of “brain drain,” it’s a matter of survival. “Either we get this done or we will be left behind,” said Glenn Boyce, the state’s commissioner of higher education. To track down its dropouts, Mississippi turned to a marketing firm that scoured databases for near-completers and sent them postcards and e-mails with pictures of students who looked like them — meaning older than 18 — along with unique URLs that linked to forms with their educational records already filled in. The state also sent posters to local job-training centers and college access groups. There are plans to leaflet military bases and send schoolchildren home with back-to-college packets for their parents. Indiana, which is also reaching out to its dropouts, hired the same marketing firm as Mississippi. It sent postcards to former students, too. By 2020, 65 percent of job vacancies will require education beyond high school, estimates show. But only 47 percent of Americans have a certificate or higher-level degree. Students who ignored the postcards got personalized e-mails, and, in some cases, followup phone calls. 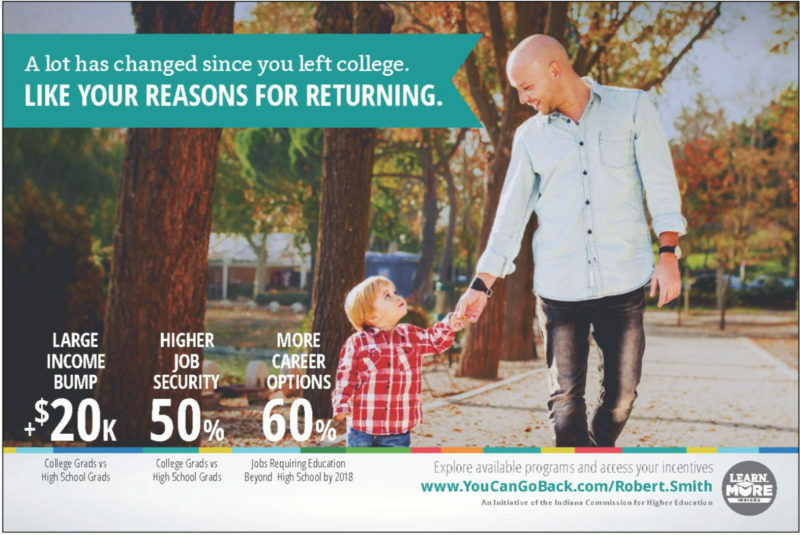 Tennessee has put up billboards and run radio and TV ads urging residents to return to college. It has also recruited more than 300 “reconnect ambassadors” to reach out to college dropouts and help them apply for admission and financial aid, find child care and resolve overdue debts and defaults. In Indiana, 10,000 students have received a new “adult student” grant since the launch of its You Can.Go.Back campaign in early 2016. In Mississippi, more than 8,000 older students have applied to return to college since Complete 2 Compete started in September. 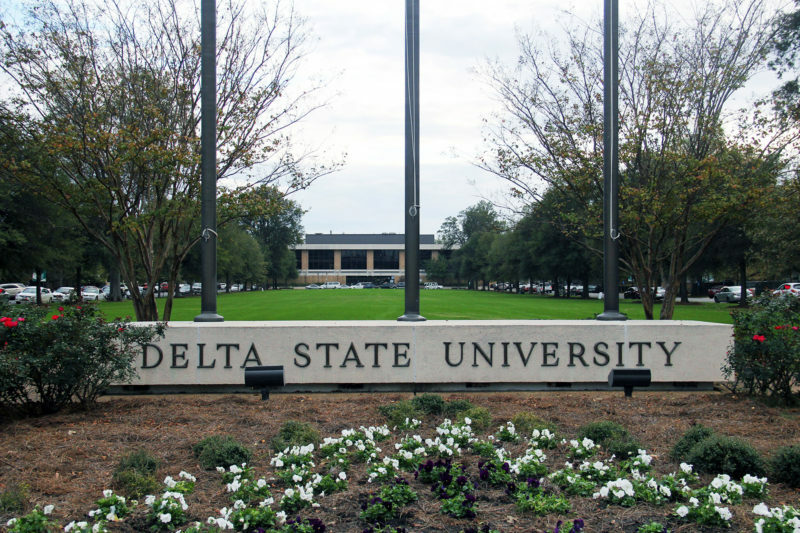 The demand has been so great that the state’s colleges haven’t been able to keep up and now are seeking more money from the state legislature to hire additional staff. So far, just 720 have been enrolled, and 309 of them have completed associate or bachelor’s degrees. What states have found is that bringing back adult students takes more than catchy campaign slogans. It takes money, and a willingness to change. Many obstacles prevent college dropouts from re-enrolling, but the biggest is financial. Adults are often excluded from state grant programs, and may have exhausted their eligibility for Pell grants. Some are ineligible for federal aid because they’re in default on prior student loans, or because they got poor grades. Then there are the barriers colleges put up. Many institutions refuse to register students for classes or release their transcripts if they owe money — even for expenses as trivial as library fines or unpaid campus parking tickets. Most colleges still aren’t structured to serve working adults. While some offer night, weekend and online classes, many aren’t adult friendly, said Lexi Anderson, a policy analyst at the Education Commission on the States. “It’s just not their mission,” Anderson said. Mississippi is trying to remove some of these barriers. It’s eliminated a requirement that students finish their last 30 credits at the institution granting the degree, and is offering grants of up to $500 to cover those overdue parking tickets and library fines. Several colleges are awarding credit for work and military experience. Indiana is offering $2,000 grants to adult students and has opened up the state’s work-study program to adult learners. Colleges are providing tuition discounts, waiving application fees, forgiving debts less than $500 and offering “grade forgiveness” — removing courses with Ds and Fs from students’ transcripts. And Tennessee is poised to become the first state to offer free community college to all adults, starting in September. “Mathematically, we can’t get to our ‘Drive to 55’ goal without adult learners,” says Jessica Gibson, assistant executive director for adult learner initiatives at the Tennessee Higher Education Commission. Blount, who initially dropped out of nursing school in 2016 for health reasons, hopes the associate degree she earned in December will help her stand out in a competitive job market. For now, though, she’s happy to at least have something to show for her years of work and $25,000 in student debt.